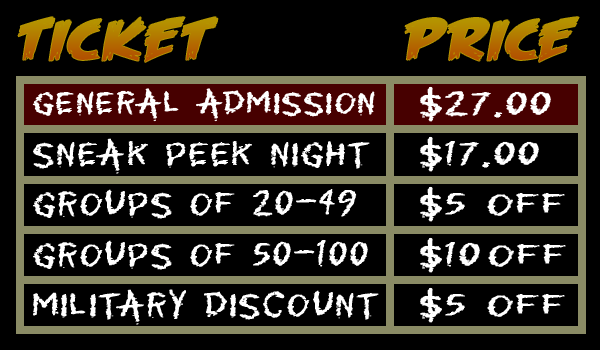 Tickets are available for purchase the nights we are open! Tickets at the gate are CASH ONLY! Gates Close at 11pm Every Night! Not recommended for children under 10 years old. Strobe lights are in use throughout the premises. All fog machine liquid is water based. We are not accessible to people with a disability.